A new solicitor has joined an expanding mid Wales legal firm. Wace Morgan Tomleys Solicitors, which has its offices in Market Street in Newtown, has recruited Andrew Oxenham to its growing team of lawyers. A solicitor and registered trust and estate practitioner, Andrew joins Wace Morgan after having worked for many years in legal practices in Shropshire and London. He gained his law degree at Exeter University and passed his solicitors’ final examination at Chester College of Law and as a member of the Law Society and Solicitors For The Elderly his specialist knowledge is in the administration of Wills and estates, as well as issues concerning people with a disability. He also has widespread experience in the preparation and administration of trusts, inheritance tax planning, Wills and powers of attorney, Court of Protection deputyship cases – particularly those involving head injured clients – and related tax issues. 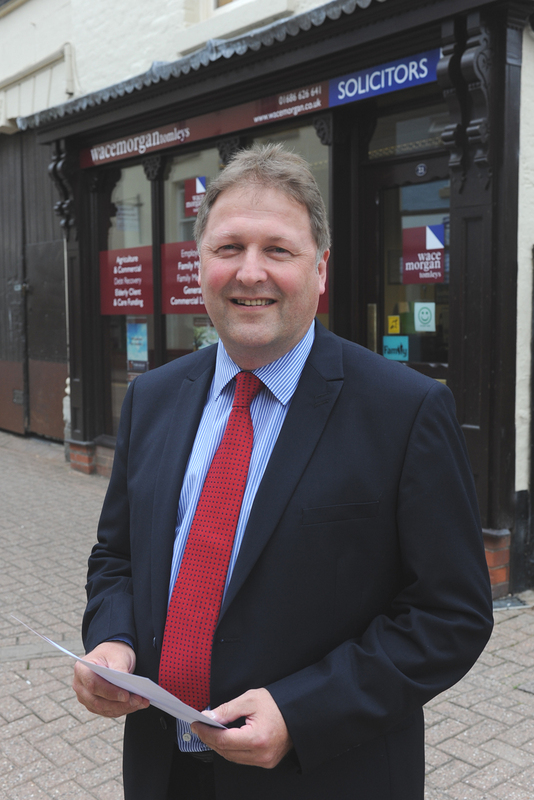 “I am pleased to be joining the Newtown office of Wace Morgan Tomleys and look forward to serving the mid Wales community,” he commented. “I very much enjoy assisting elderly clients with management of their affairs and have dealt with several cases involving estates in excess of £1 million,” added Andrew, who was recommended in the 2010 edition of the Legal 500, a clients’ guide to legal experts. Outside of the office, Andrew enjoys being involved in the sport of hot air ballooning and was part of the British team at the European championships in 2011 and has been involved in numerous national balloon competitions.